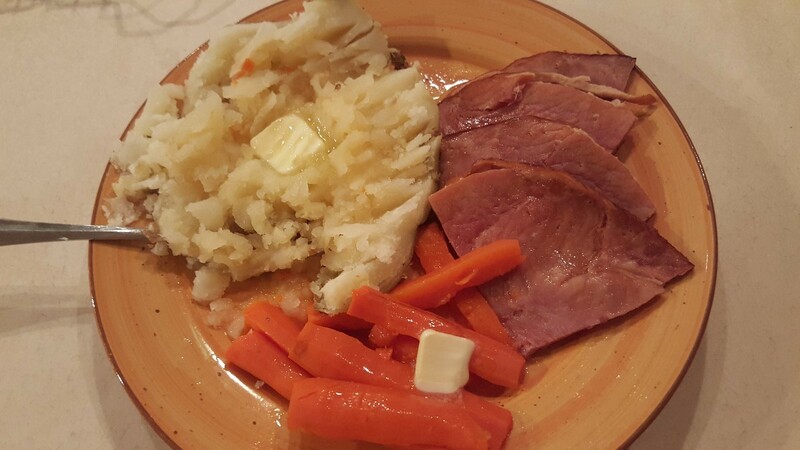 Ham is a favorite main course for a special dinner, especially in the spring and at Eastertime. This is a guide about making a ham dinner. This is so easy. If a big ham dinner sounds too intimidating to tackle, think again. Easy as pie and tastes fantastic! 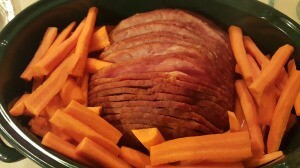 Place your ham in a roasting pan, along with the juices from the package, add 1 cup water. You may add a seasoning/glaze packet if it came with your ham. 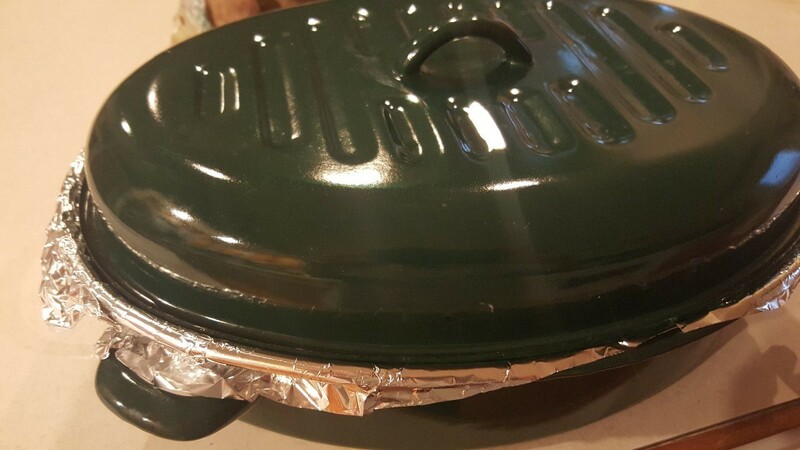 Cover pan with foil and place lid on top. Bake in a 325 F oven for 1 hour, 10 minutes. 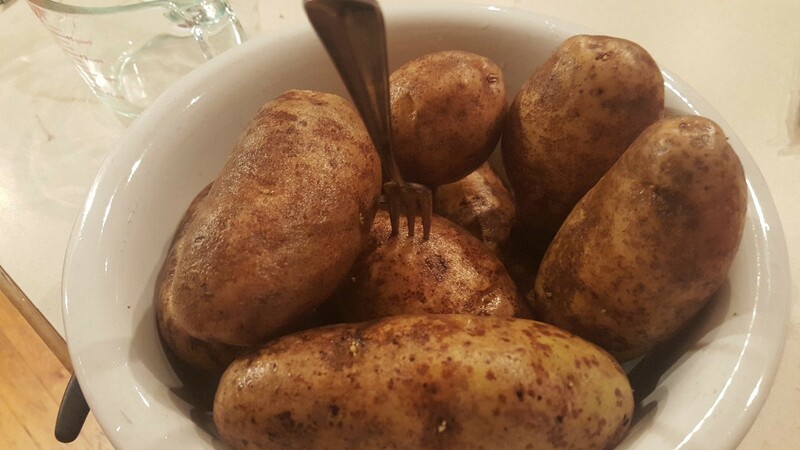 Wash and poke 5 pounds of potatoes. 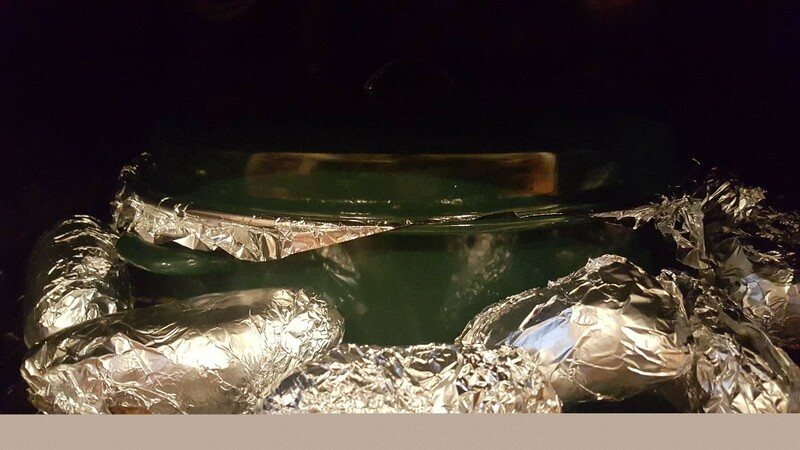 Wrap potatoes in foil and place in the oven next to the roasting pan, after your ham has been in the oven for only 25 minutes. They will remain in the oven for the duration of the cooking time. Peel and cut your carrots, place them in the pan with your ham, replace foil and lid. Continue cooking another 50 minutes. Remove from oven. 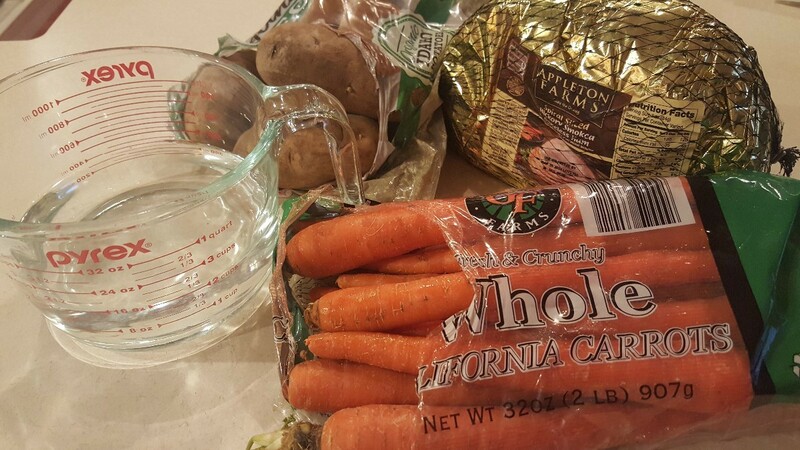 The juices in your pan will create a thin, but delicious gravy/sauce for your potatoes. 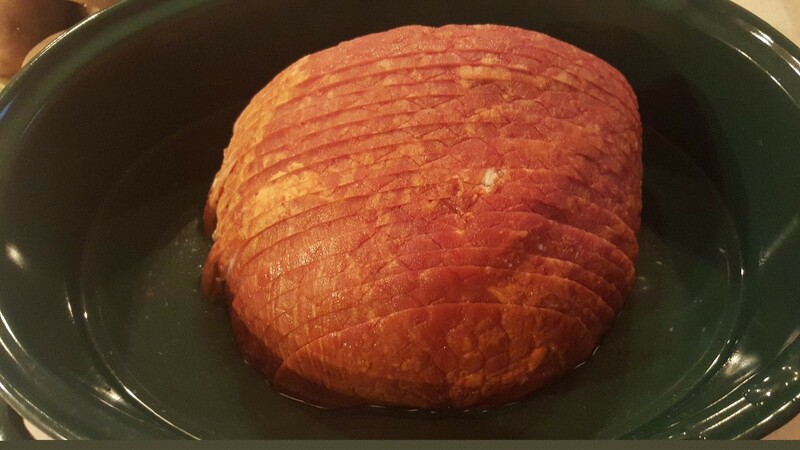 Total ham cooking time is 2 hours. How long and on high or low?